Today we are joined by Henah Ji and Ken Proude of The Veterans Channel to discuss their Veteran docu-series about Medical Cannabis. With so many military members suffering from PTSD, Cannabis has proven to be of help where prescription drugs have left members suffering from side effects and addiction. The goal of our guests today is to educated Veterans in North America about the benefits of Cannabis through the stories of those that are using it first hand. 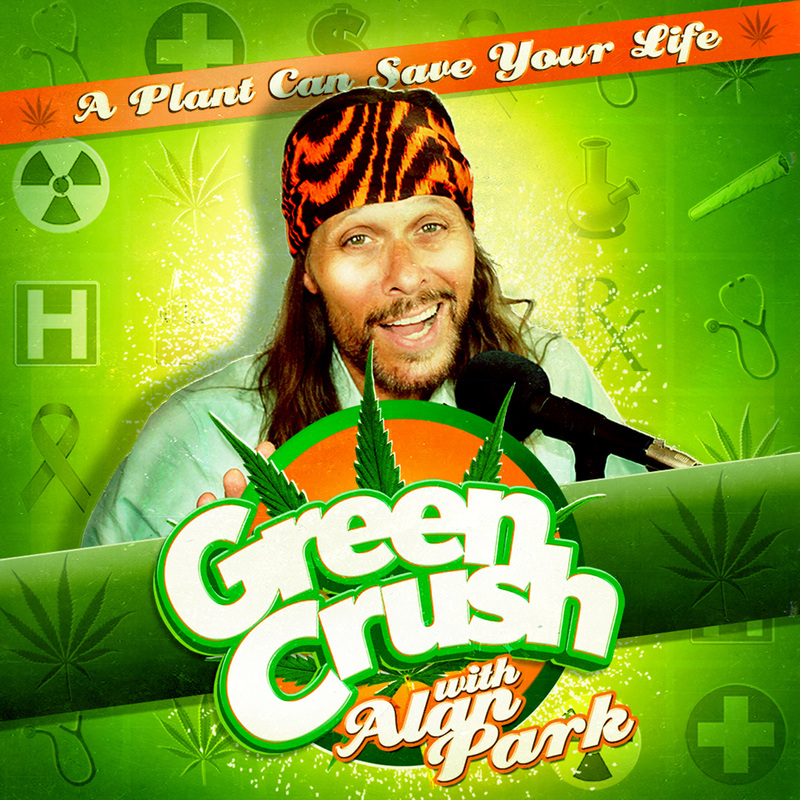 Stay tuned to Green Crush for updates on the series release, of which Alan will be a part of. It’s like taking candy from a baby, but it’s always fun to knock down the brainwashing concept that a life filled with cannabis is a useless one. 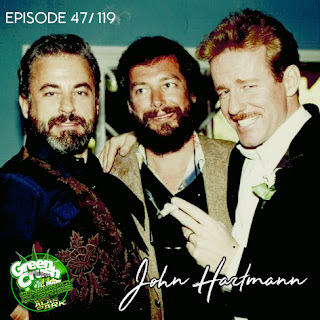 So it is this episode, speaking with a legendary promoter within the music industry. 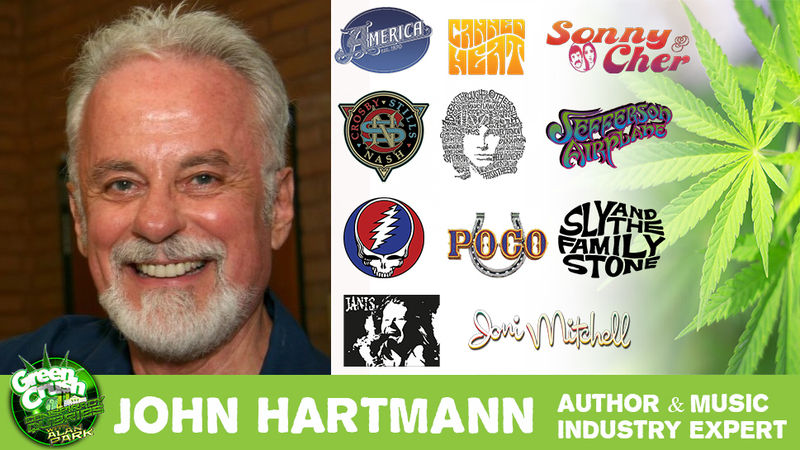 Over the last 50+ years, our guest John Hartmann has dealt with some of the most iconic and talented musicians ever captured on vinyl, like The Grateful Dead, Jefferson Airplane, Janis Joplin, Crosby Stills Nash and Young, Canned Heat, Sonny and Cher, and the King himself Elvis . His plan for music creation in the future is also brilliant and generous. Reminder: synthetic cannabis is terrible. 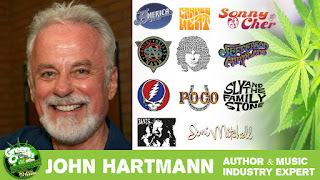 John points out that he had some amazing synth-weed – but that was 50 years ago, not today’s current crap which can and has caused people’s eyes to bleed, among other harsh side effects. Our guests are activists at Global Public Affairs. And we just met! 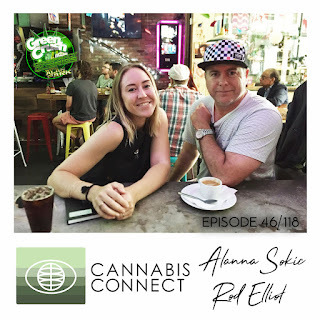 Rob Elliot, Senior Vice President, and Alanna Sokic, a Research Analyst out of their Toronto division, have the attention of the ears of some politicians and provide guided expertise through Cannabis Connect for organizations navigating their way through Canada’s legalization and regulation processes. These folks know how to scramble to get a point of order together, to lobby governments, and to have it absorbed into social policy. Luckily for me, their look down the road of Canadian cannabis legalization is not as dark as mine. I hope they prove me wrong across the board. We sure did turn over a lot of questions to get to some good resolution.